The safari is starts and ends in Arusha visiting the best of Tanzania national parks. Safari proceeds to Lake Manyara, the expansive Serengeti Reserve and the amazing Ngorongoro Crater. Tour transport shall be in a customized pop up top 4×4 jeep. Tour accommodation is in optional economy, comfort or luxury safari lodges & tented camps. 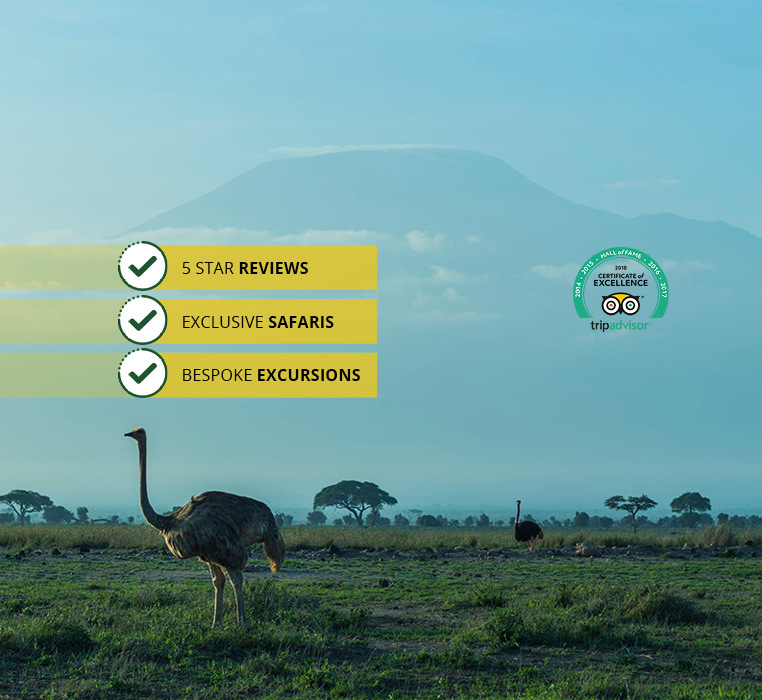 We request you to select your choice from provided options depending on your safari budget / adventure style. Driving times on safari are estimate and may vary depending on state of the road and traffic. Tree climbing lions and flamingos of Lake Manyara. Serengeti national park - unlimited plains with hundreds of wildlife species. Ngorongoro crater - close range of game viewing of one of the world’s largest calderas. Cross-section of the local people and living styles. The "Olduvai Gorge" and the remains of pre-historic man. 0730hrs: Pick up from the Arusha airport/Arusha hotel or residence. Depart Arusha for Lake Manyara National Park. The scenic drive is via Maasai country, distinct climatic zones and social regions. Drive to Manyara with picnics for lunch. Afternoon game viewing drive in Lake Manyara National Park in search of the famous tree climbing lions and large flocks of flamingos. The Lake Manyara national park is small and scenic. Early evening drive out of the park and up the escarpment. Dinner and overnight at a Lodge in Manyara. Soon after, drive to the Serengeti with picnics en route. Afternoon game drive in the seemingly endless plains. Meals and overnight at a lodge in Serengeti. All meals and overnight at your lodge. Drive to the Oldupai Gorge for a short but a very informative visit on our ancestors. Thereafter, continue to Ngorongoro arriving in good time for lunch. Maasai Boma could be organized and paid for directly by the clients. Dinner and overnight at your lodge in Ngorongoro. After breakfast, descend into the floor of the crater for a memorable tour. Picnic lunches at midday followed by a final tour. Thereafter, ascend out of the crater and return to your Lodge for dinner and overnight. Breakfast at your Lodge then drive back to Arusha. Drop off to your airport or residence. Safari prices are per person sharing in a private pop up top safari minivan (Kenya) + safari jeep (Tanzania) and in a double/twin room/tent. Peak Season - Jan, Feb, June, July, Aug, Sept, Oct, 20 th to 31st Dec.
Transport in a customized pop up top 4 x 4 land cruiser jeep. Any other item which is not mentioned in the “Inclusions” clause above. Natural World Kenya safaris is Member No.A/440 - Kenya Association of Tour Operators (KATO) bonding scheme. The scheme is insured to guarantee your holiday safari in the unlikely event that a bonded KATO member ceases operating. Introducing Natural World’s new gorilla trekking packages! © Natural World Kenya Safaris. Developed By MonkeyFish Marketing. Please list the ages of any children and any other information.